"At Bonobos, we strive to make great clothing. With Equateur, we tell the stories of the humans who wear it. The places they go, the things they do, the people they meet—everything that gives meaning to what otherwise would be just fabric and thread." 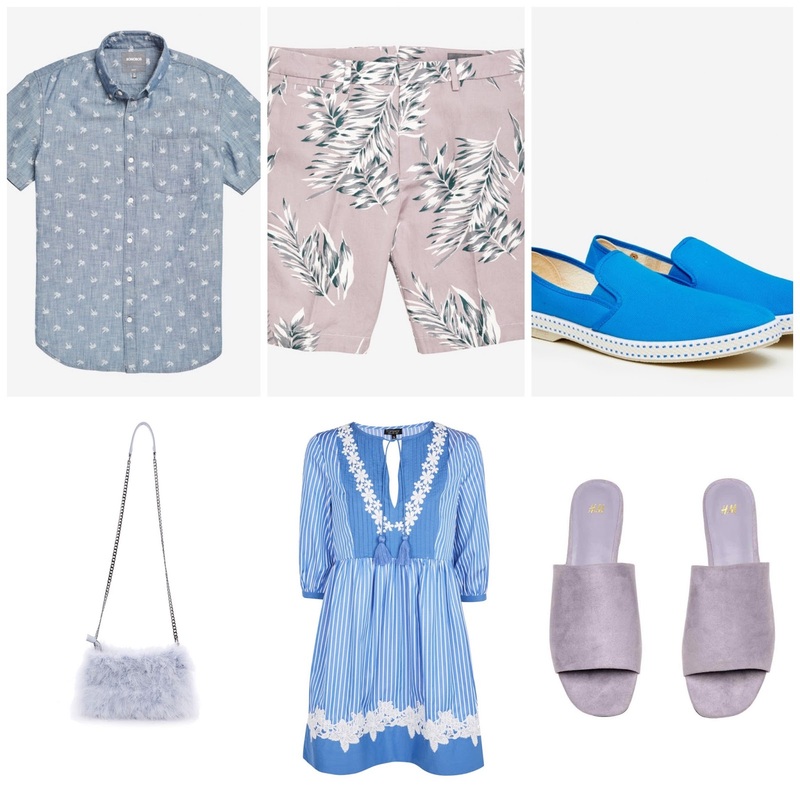 I was asked to create a mood board of my top fashion picks for this Spring, for both men and women. Rust Red Chino Shorts $148, Khaki Slip-on Shoes $48. I really love the Shirts Bonobos sells, especially with funky prints like the Kiwi or Seahorse ones. I chose for my mood board. I have a feeling that not a lot of people would go for them as they might be out of some men's comfort zones however, I think they're gorgeous and would love to see someone rocking them! 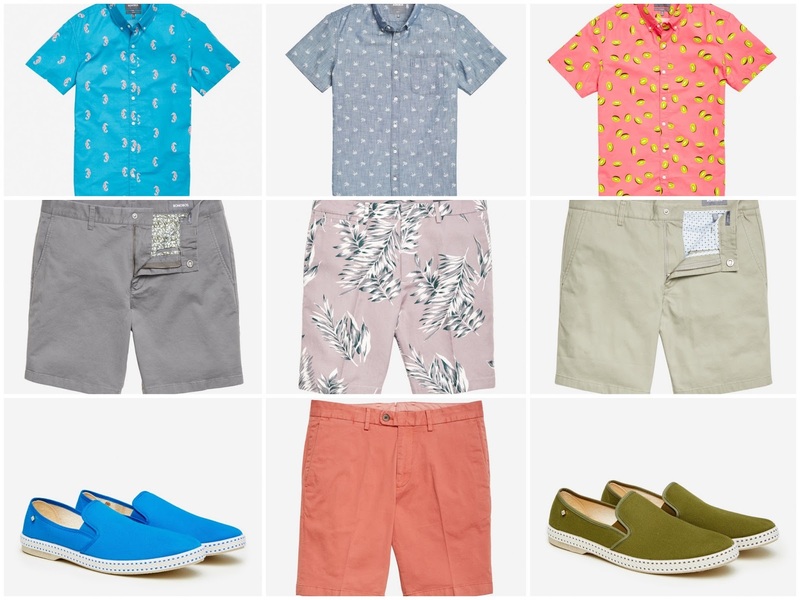 I'm also a big fan of the Chino Shorts as Bonobos has a huge collection of them (see here). 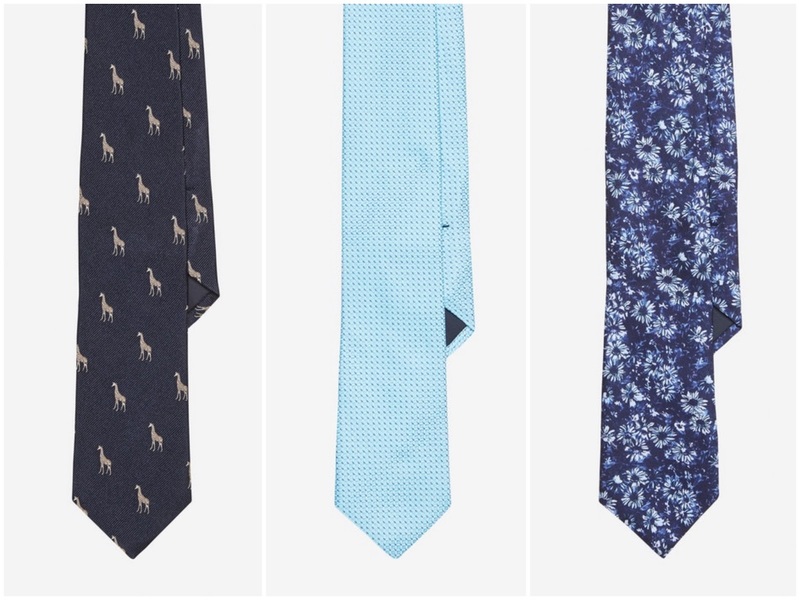 L-R: Giraffe Tie $85, Light Blue Tie $98, Floral Tie $98. I don't know why but I really love ties. I think they add so much personality to a boring outfit - come on guys, wear a cool tie to work!! Don't be boring! I especially like the floral one as it's not too bright, but very stylish and could make any suit look trendy and modern. L-R (T-B): Grey Top £8.99, White Shirt £19.99, Raincoat £29.99, Pom Pom Jeans £46, Culottes £22.99, Blue Dress £48, Suede Mules £12.99, Furry Bag £40, Yellow Sliders £39. 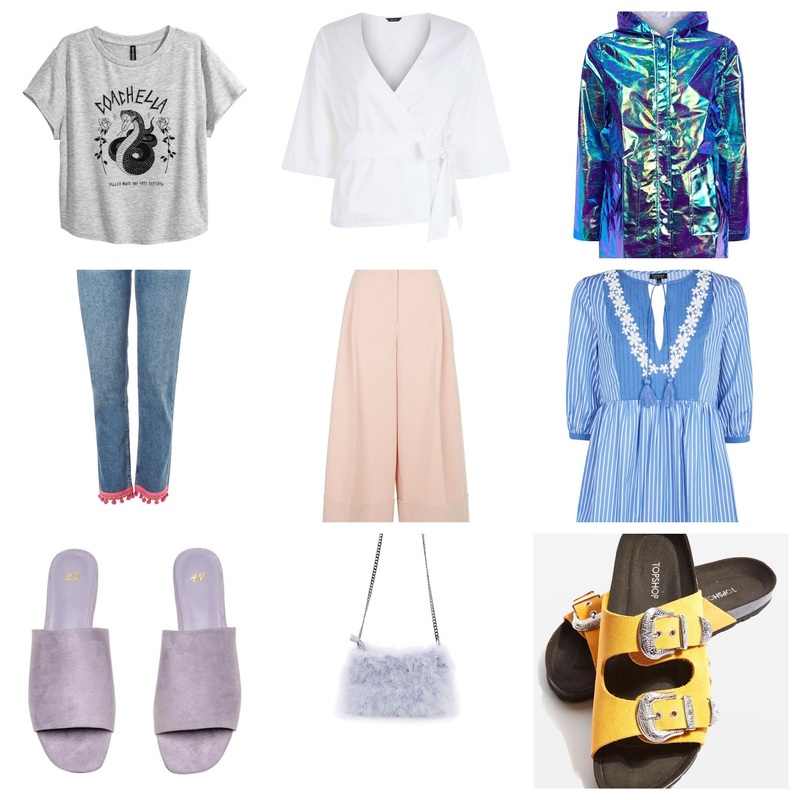 It was so hard to focus on one brand for 'Hers' mood board, so I decided to settle for 3 different ones (H&M, New Look, and Topshop). I think my favourite piece from this mood board is the white wrap-around shirt as it's so classic and timeless - great for all ages and sizes. I also love the mules (Oh, I'm a big fan of mules me), the colour is perfect for Spring and the heel is so tiny that anyone could wear them comfortably. Mesh Dress £12.99, Blue Top £12.99. Can we just sit back and appreciate these gorgeous sunglasses?! Only £5.99 as well?! Get in my basket! Sometimes, something as little as a pair of sunglasses can bring a whole outfit together and make you stand out from the crowd. I'm a big sunglasses wearer as I have sensitive eyes, but I believe that everyone should have a pair of some funky shades in their bag for the sunny Spring days. I know for a fact that some of the things I've shared with you will be sitting in my wardrobe very soon hehe. I have also created a His&Hers outfit (hopefully Kieran will approve haha). I'm all for clashing prints this Spring, I think it looks amazing and if a guy can pull it off - then anyone can! * I worked with Bonobos on this post however, it isn't sponsored and doesn't include affiliate links. What are your preferred colours for Spring? Let me know in the comments section!